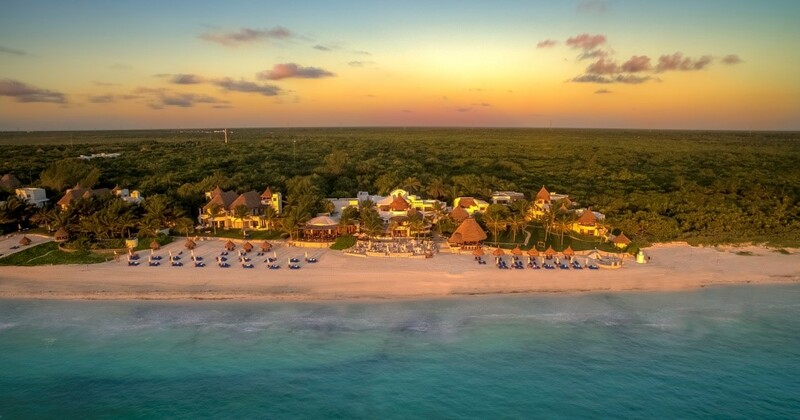 Belmond Maroma Resort & Spa introduces a ‘Slow Beauty’ package and experiences uniquely inspired by its jungle setting and healing powers of Mayan rituals; building upon its reputation as Riviera Maya’s most authentic Mexican hideaway. From April 2018, a Slow Beauty workshop and treatments are available at the award-winning Kinan Spa and traditional beachfront Temazcal. This globally recognised approach to wellbeing is adopted by the spa and focuses on anti-aging, daily rituals and taking the time each day to pay attention to the mind, body and soul. The Kinan Spa is nestled within flower-filled gardens and 200 acres of surrounding tropical jungle and set back from the resort’s quarter of a mile of uninterrupted white sandy beach and azure Caribbean Sea. With a spa design based on Mayan sacred geometry and astrologically aligned with the stars, the new experiences invite guests to make a deep connection with ancient local culture to find inner harmony. Spa Director and resident Bee Keeper, Cynthia Alva invites guests to join a Slow Beauty workshop covering daily rituals, recipes and ideas that when practised regularly promote personal growth. Spa-goers will discover the health benefits of basking in first light with meditation and movement to more Mayan-inspired rituals such as, natural bathing, ‘emotional blending’ using personalised essential local oils and the Broken Tea Cup Ritual, designed to break unwanted habits. The group workshops are included as a part of the package or private sessions can be arranged on request. Special to the resort is its home-harvested Melipona bee honey, known to possess incredible healing powers that change according to the season and also a key ingredient found in the Signature Kinan Facial, ‘Honey & Glow’ and Kinan Ritual. The facial, specifically designed to reduce inflammation and premature aging, uses a Mayan honey mask which repairs and corrects skin to give the face a natural glow. The four-hand Kinan Ritual combines a handmade scrub with honey and salt from Celestún – a local town of Yucatán – and full body mask with raw honey from the Mayan jungle to draw unwanted toxins to the skin’s surface. 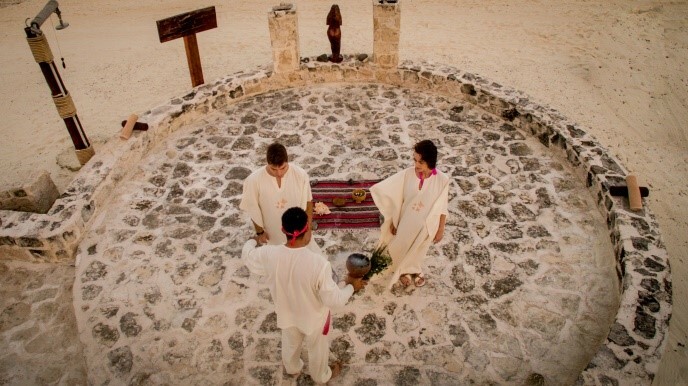 An authentic way for guests to connect with ancient culture is to experience the Temazcal – a life-affirming ceremony guided by a Mayan shaman of purification and re-birth, connected to the energy of the universe, phases of the moon and elements of life – air, fire, earth and water. Guests are led into a candle lit handcrafted structure on the water’s edge where a traditional ritual takes place involving herbal steaming, chanting, ancestral drumming, meditation and mud bath. Activities to further complement the pursuit of Slow Beauty, include, Sunrise Yoga which takes place on the impressive expanse of white sand as the sun rises on a cloudless horizon and reflects on aqua waters. The Jungle Bike Tour is also an ideal way to slow down and gently explore the resort’s captivating jungle pathways where curious Quatis (raccoons), spider monkeys and colourful botanicals can be spotted. Belmond Maroma Resort & Spa is an authentic hacienda-style retreat – easily accessible from Cancun and boho-chic Tulum’s fashionable beachfront and ruins – offering a genuine escape from everyday life. Contemporary flavours of Mexico can be enjoyed at El Sol Restaurant, whilst Mexican cuisine with Mediterranean flair is on offer at El Restaurante. The famous beachfront Freddy’s Tequila and Ceviche Bar continues to serve the largest collection of tequila and mezcal in the region – remaining the hot spot on the coastline for a sundowner and the place to master the art of relaxation. The ‘Slow Beauty’ package can be booked online and prices start at $780 per night, including, accommodation, daily breakfast, Slow Beauty workshop and consultation, meditation and yoga class, Slimming exfoliation, Detox Mayan Wrap and Shaman ceremony on the beach. Book now for April onwards and room rates start at $565 based on two people sharing a Deluxe room with breakfast. For reservations please visit www.belmond.com and search offers.